Reports have recently surfaced about an outbreak of drug-resistant head lice in half of US states. The timing of this outbreak coincides with the start of school in many places, so experts predict that lice could spread quickly and be very difficult to combat. These new mutated strains of lice are supposedly resistant to the treatments often used, including all the popular brands of lice shampoos and removers. It is important to note that there is not an actual outbreak yet in many places, researchers are just predicting a bad outbreak in coming months. I personally don’t think this is a cause for tremendous concern yet, but it is helpful to be prepared and to take some steps to avoid getting lice in the first place. Interestingly, common treatments were not even that effective to begin with, and newer, stronger insecticides may not have the ability to fight these new drug-resistant lice either. Even worse- These insecticides also contain neurotoxins and endocrine disruptors that may have a long-lasting negative effect on children, especially when used more than once over time. Just as certain strains of bacteria have mutated to be able to survive treatment with common antibiotics, these head lice have developed mutations that allow them to survive the common treatments. Not only do insecticidal treatments douse our children in potentially dangerous endocrine disruptors and brain-affecting chemicals, they aren’t even effective anymore! Newer treatments use stronger strains of insecticides that lice are not yet resistant to, but can cost over $100 and often need a prescription. As a parent, the mere idea of head lice sends chills down my spine. With six kids, lice could spread very quickly at our house and be very difficult to get rid of. We actually faced this problem a couple of years ago, and after some research, I wasn’t comfortable using the conventional treatments with insecticides, especially since our children are still so little. I tried several of the natural remedies and suffocation methods recommended online, but none seemed to truly stop the problem, especially for one daughter who had hair too thick to comb through completely and which was perfect for hiding lice. 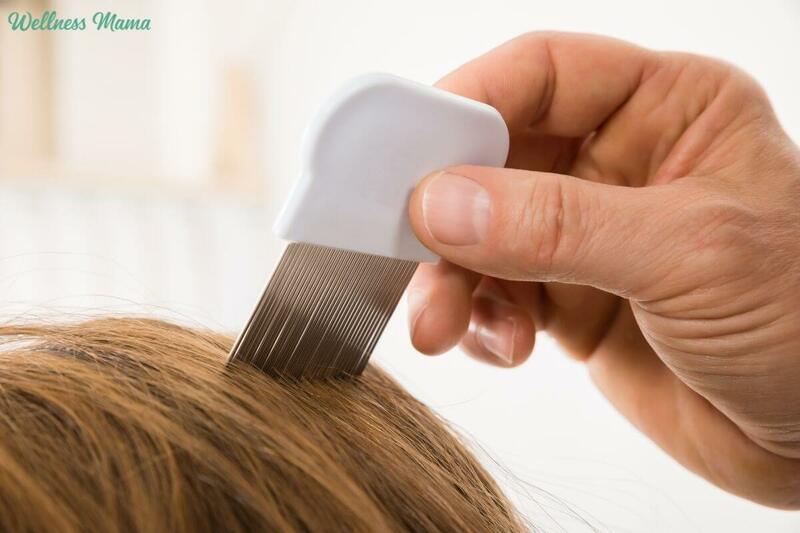 The beauty of these treatments is that they act on the lice in a physical way through dehydration or other methods and don’t rely on the insecticides that many lice are resistant to anyway. 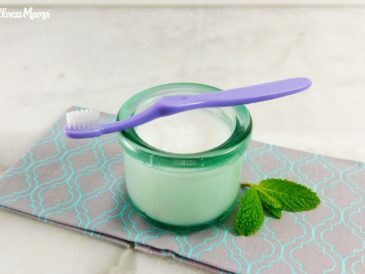 I hadn’t planned on sharing these remedies (and hope our family never needs them again), but with news of this potential upcoming outbreak, I wanted other moms to have the peace of mind of being prepared with remedies that actually work. I’ve also included a list of the things we’ve used to avoid any more outbreaks since our initial one, even in times when I know that my children were exposed to children with lice. The study found that drug resistant lice were resistant to insecticides. I wasn’t comfortable with using insecticides anyway, so the methods I found and tested on our children didn’t rely on them in the first place. I read the full text of the study and confirmed that these natural remedies (which worked through dehydration and physical means) would still work on these new mutated forms of lice. 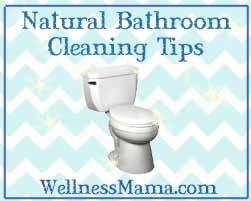 The other advantage of these natural remedies is that I didn’t have to comb through my kids’ hair at all because the treatment doesn’t rely on removing any lice and nits. For our boys, we shaved their heads since it was warm weather anyway, but our three girls presented a big challenge: three heads of thick, wavy hair ranging from just over shoulder length to almost waist length. Our girls are also the most tender-headed children I’ve ever met, so nit-picking was going to be a difficult or impossible option for us, though it has been found to be effective at removing lice when used consistently. I also found in researching, that lice don’t lay eggs for at least ten days after they hatch, so as long as some form of effective natural lice remedy is used every 6-7 days for a few life cycles, nitpicking hair is not necessary. The most effective remedy we used that didn’t require any chemicals or the use of a lice comb was a saline based homeopathic lice spray. The salt-based spray dehydrates and kills lice and nits on contact but isn’t harmful to a child. Though it does contain an added fragrance I would normally avoid, this option is still much, much more natural than other options and removed so much headache from the lice removal process that I was willing to use it even with the fragrance. This spray was so simple to use too. I just sprayed on hair before bed, let stay on overnight, and shampooed their hair in the morning. It didn’t sting, it didn’t have a horrible smell like insecticide based remedies and it (surprisingly) also left a lot of body in their hair for about a week (probably due to the salt, which I use in my own beach waves spray for volume). This spray also comes with a lice comb, which I used as much as I could one time on each child’s hair, but even without consistent combing, our lice were gone within a week without the need for any insecticides. If we ever faced another outbreak, I planned to experiment with homemade salt-based sprays to see if they would be equally effective, but since we haven’t (thankfully!) had that chance, I just keep this spray on hand in case it is needed. 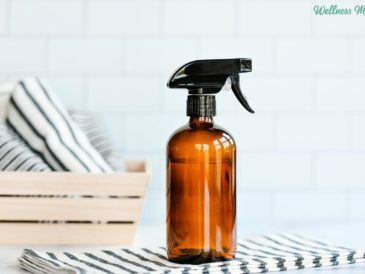 The other advantage to this spray is that it can be used after exposure to other children with lice, so if I know my children have been exposed, I spray their hair at night and let them sleep with the spray in to avoid an outbreak. This shampoo is drying, so I followed up with a natural conditioner on the girls so their hair wouldn’t be too dry or tangled to brush. I found that I could also use the lice comb on their hair while it was wet and had conditioner on it, so this was the closest we came to combing their hair completely. We continued using this shampoo until we knew that the places they had been exposed to lice had completely eliminated the problem, and I now add a few drops of neem oil to their regular shampoo to help avoid any future outbreaks. Important note: Neem oil should never be used internally, especially on women, children or anyone without express doctor oversight. It can have negative effects if used internally but is generally considered safe for external use. Check with a doctor before using this, or any product, if pregnant or on children. I also alternated these treatments with use of diatomaceous earth (DE). I’ve used DE before for fleas and other pests, and found some evidence that it could help kill lice as well. The tiny particles of DE have microscopic sharp sides that scrape the exoskeleton of the lice and lead to dehydration. This is another chemical free way to help kill head lice or other pests. DE can cause irritation if inhaled, so it is important to apply in a way that doesn’t create dust your child could inhale. I did this by having them cover their face with a face mask and a towel (and doing this myself as well), and then carefully sprinkling DE all over their scalps. I applied a shower cap and let them watch a movie while the DE did its work before washing out. I also used DE in treating our house to avoid future outbreaks (see below for the steps I took). I started by spraying and saturating all of the children’s hair with the saline lice spray and letting it dry. This was in the afternoon, so we left the spray on overnight while they slept. Then, I tackled the house. I started by stripping all beds, pillows and removing all clothing they had worn for the past 72 hours from their rooms. I washed all of these in hot water and used the hottest cycle in the dryer. Even just 20 minutes in the hottest setting on a dryer is supposed to kill any lice living on clothing or bedding. I also ran their pillows and stuffed animals through the dryer for 20 minutes. Any stuffed animals, cloth toy, or furniture that was too big to be washed was put in a black garbage bag and put in the attic (it was hot this time of year) for 2 weeks. This might have been overkill, but I wasn’t taking chances. I sprinkled diatomaceous earth on all carpets, let sit for 15 minutes and vacuumed everything… twice. Then, I took all hairbrushes/combs and ran through the sanitize cycle on the dishwasher. Hairbows, hair ties and other hair accessories were put in airtight bags for several weeks. I also parked our family car in the hot sun for several hours to kill any surviving lice in the car. We have not had any lice infestations since that initial time, despite exposure several times. To keep from getting another outbreak, I’ve used this lice free spray on our children any time I know that we’ve potentially been exposed. We also use the Neem shampoo once a month or so, especially this time of year, just to be safe. If your child comes home with lice at any point, don’t panic! I know it can be embarrassing, frustrating and exhausting to deal with head lice, but lice are not life threatening or dangerous, just annoying. Even with these mutated drug-resistant lice, there are natural options that work and these options work better than harmful conventional insecticide based options. 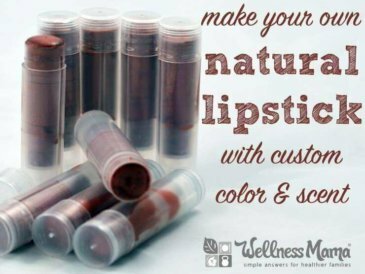 I personally keep the natural options on hand so I’m prepared if we ever have another outbreak, and while I hope we never need it, it gives me peace of mind to be prepared and have a plan ahead of time. Has your family ever dealt with head lice? What did you do that worked?